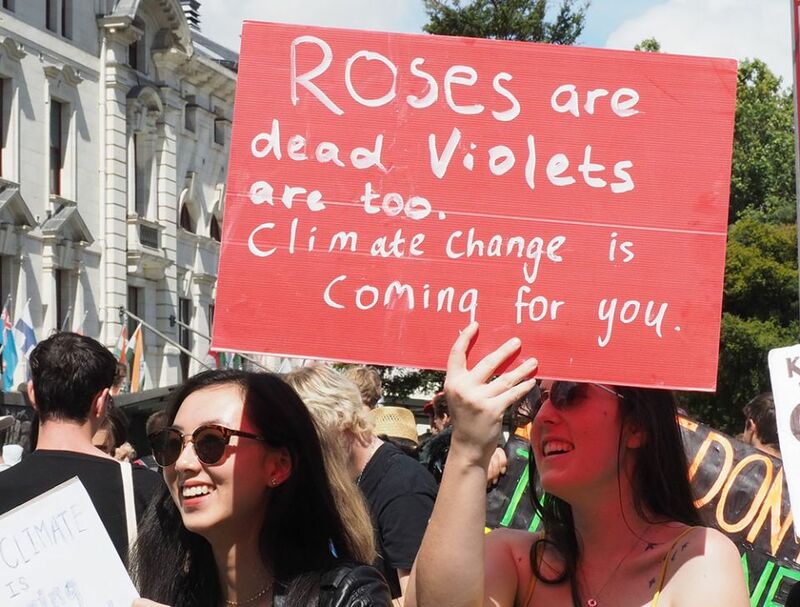 Students protesting in Aotea Square on Friday were actually fighting for their right to life, says an academic supporting the school strike on inaction against climate change. The protest kicked off with students starting a deafening chant: “When I say ‘student’, you say ‘power’!”, a cry heard up and down Queen Street. 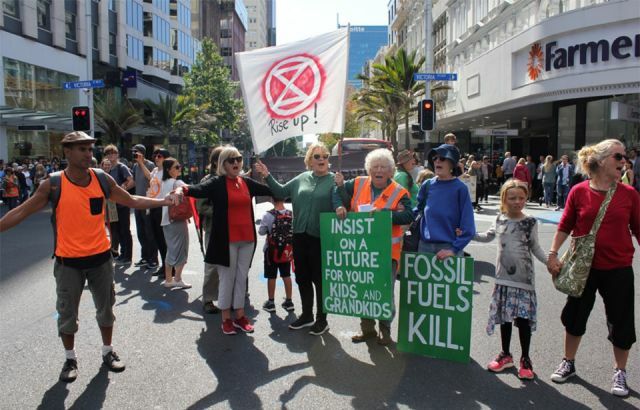 The square was packed with students from around Auckland, protesting against government lethargy on global warming. 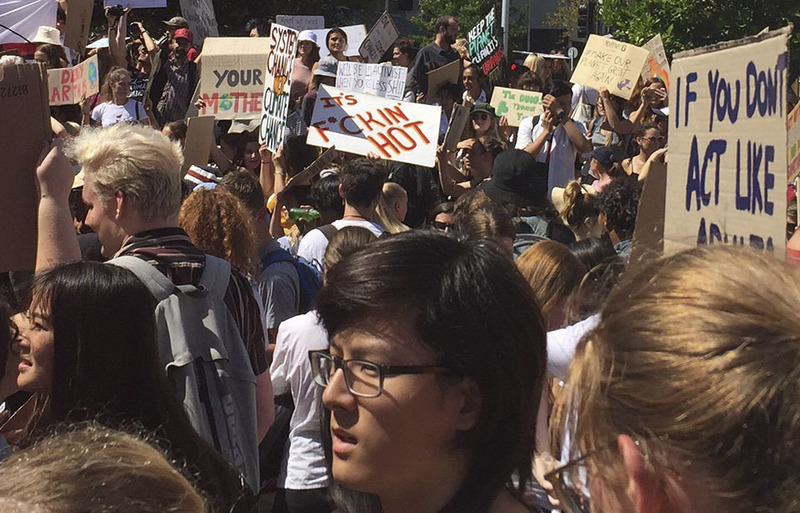 As students sheltered from a fierce sun in whatever shade they could fine, one placard read: “It’s f*ckin hot”. 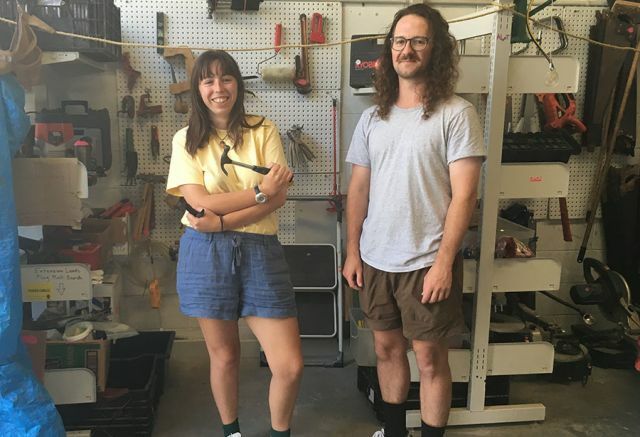 Deborah Jones, an associate professor at Victoria University, said the need to act on climate change was incredibly important and the students were fighting for their right to live. “It is so wrong for those alive now to take no responsibility for the future. For many, it was first-time political activism but the enthusiasm was strong and the placards were painted. Ella Rose Scnapp, an older protestor at the rally, said everything had to change and it was unfortunate young people were those having to fix the issue. “Big policy change, societal change. Young people are saying they know we need to change but they’re predominantly not the ones controlling how society’s working. “I think we need to change the economic system, a social system, how we share, how we care for people, the way we use transport, cars, everything, just the whole system needs to change. 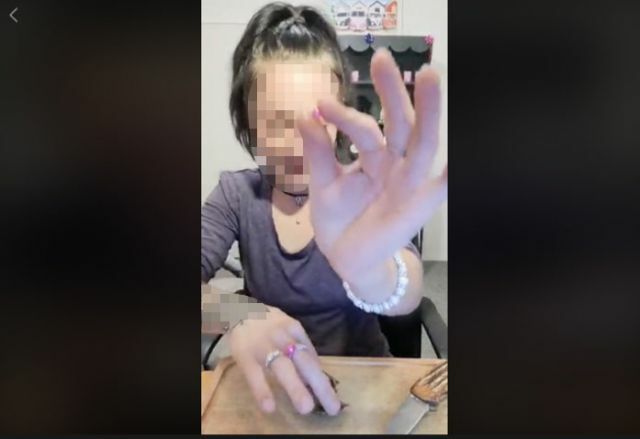 Izzie Newton-Cross, a student from Westlake Girls High School, said the protest was for a worthy cause and the Government was slacking in sorting the issue. 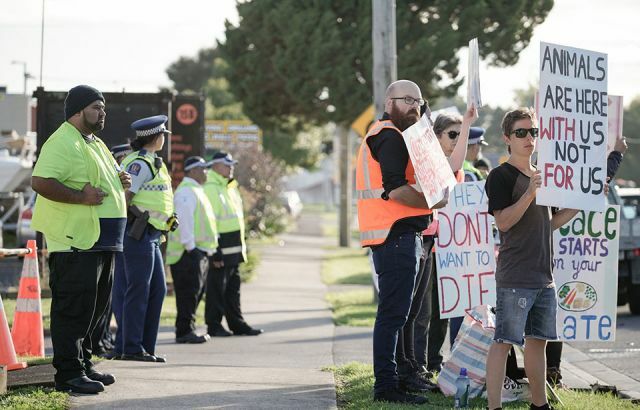 Angela Wilton, the director of programmes and partnerships at Oxfam New Zealand, was also there in support of the students and said it was a critical issue. “We are here in support of the many students that have come out today to protest a incredibly vital issue which is climate change and what we can do within the spirit of collective action to make some kind of change. “A core focus of our work is working globally but also in the Pacific where we see people who are most impacted by the very real and immediate effects of climate change. The students demanded the passing of a proposed Zero Carbon Act with a long term plan to get to carbon neutrality by 2050, and a bigger investment in renewable energy alternatives. The now-global movement began in Sweden last year when 15-year-old activist Greta Thunberg protested outside the Swedish Parliament. Since the Auckland protest, it has been announced Greta Thunberg has been nominated as a candidate for this year’s Nobel Peace Prize. For more information on future protests, check out the School Strike 4 Climate website or its Facebook page for further information.